James Dayugar is the Samaritan’s Purse base manager in Foya, Liberia. 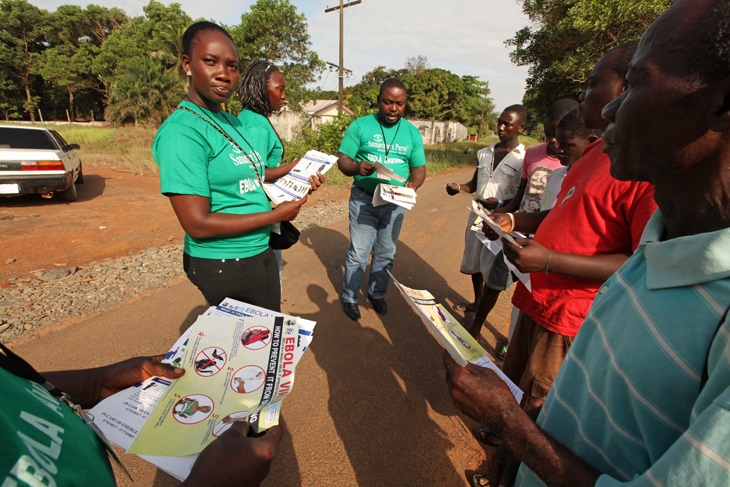 We continue to work in communities throughout the country to help stop the spread of the disease. We climaxed the Ebola awareness activities in Foya district today with a grand parade throughout the main streets of the city. The journey that brought us to this point was difficult. The abrupt eruption of the Ebola virus in the country took many by surprise. Foya district in Lofa County is considered the epicenter of the virus. As a result of the outbreak, all of our usual program activities were suspended. BATTLING EBOLA IN WEST AFRICA: Samaritan’s Purse works to prevent the spread of the deadly Ebola virus. 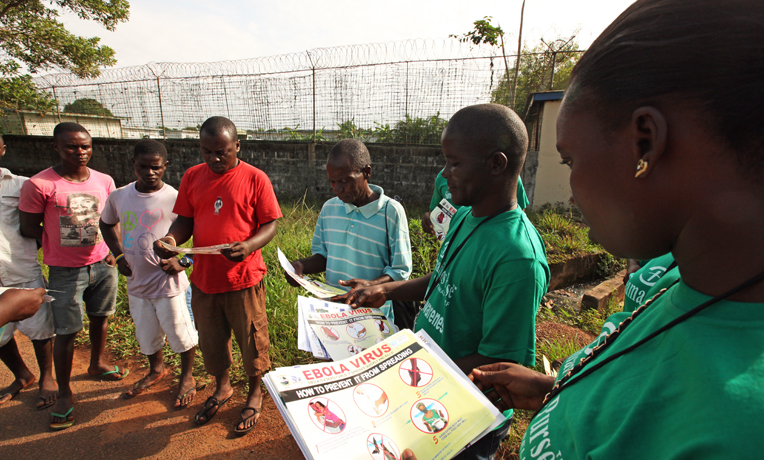 The beginning of the process that led to our going into the field to conduct awareness on the virus wasn’t easy. With very little or no knowledge at all about Ebola, the majority of us were very fearful. That fear even increased in the midst of the uncertain situation when Samaritan’s Purse suspended operations. Then one morning the Country Director arrived at the base, met with all of the staff, and encouraged them to remain calm. He showed us the way forward. He informed us that management was extremely concerned about our wellbeing and that was the reason why he took the time to come over and give the information that we needed to keep safe. His visit brought a great deal of relief. He spoke with compassion, bringing to reality one of the values that we hold dearly as an institution—we value our staff. After his departure, I saw people smiling again, echoing the fact that we’re not alone. I will have to admit that the concern that people showed during this time of difficulty far exceeded my expectations. I received more calls, more words of encouragement, more of just anything you can think about. These show of support meant a great deal. At some point, just saying, “We are praying for you and your team” was all that I needed. Lest we be numbered in the hall of the ungrateful, like the nine lepers, I wish to take this time, on behalf of the Foya team, to thank all who consistently stood with and by us throughout the period of difficulty. And above anything else, I give God the glory for keeping us safe; for watching over us throughout this tough period. We owe a huge debt of gratitude to Him. Samaritan’s Purse has reached more than 230,000 people through our Ebola awareness campaign. With the virus still next door in Gueckedou, Guinea, there’s still reason to be concerned. We share common borders; have similar traditional practices; denial still lingers on both sides. But there’s good reason for us to move with cautious optimism. We have sufficient information about Ebola to prevent ourselves from being infected. We have taken the message to the people we serve, and trust they will use the knowledge they have acquired to protect their families and communities. Another very crucial thing that I discovered is that while our projects were suspended, the Gospel message reached far more people than it would have if we were doing our regular work in the communities. All of our projects have a ministry component. With the eruption of this virus, the enemy must have thought, well, we finally shut the door. No more Gospel message. But the number of people who received the Gospel message as the result of this Ebola awareness is huge. The enemy had it all miscalculated. To God be the glory! As I close, I want to salute our foot soldiers—the Ebola awareness volunteers who bravely went into the communities amid the gloom and doom that loomed over the district as a result of the outbreak. They spread the facts about the Ebola virus. They were rejected in some communities, but they were never deterred. People called them paid agents who were sent in the communities to spray people and killed them; this misinformation did not discourage them from doing what they knew was best for our people. It takes commitment to keep on doing good, even when people don’t appreciate you. Somewhere they have learned that they weren’t working for man but for God. Again, I am proud of the Foya team, but also graciously grateful to all who stood firmly with us throughout the struggle. May the Almighty God continue to cause his face to shine upon us and be gracious to us always.